Warm, flexible, and tough? For the worksite, you can't get a better combination. 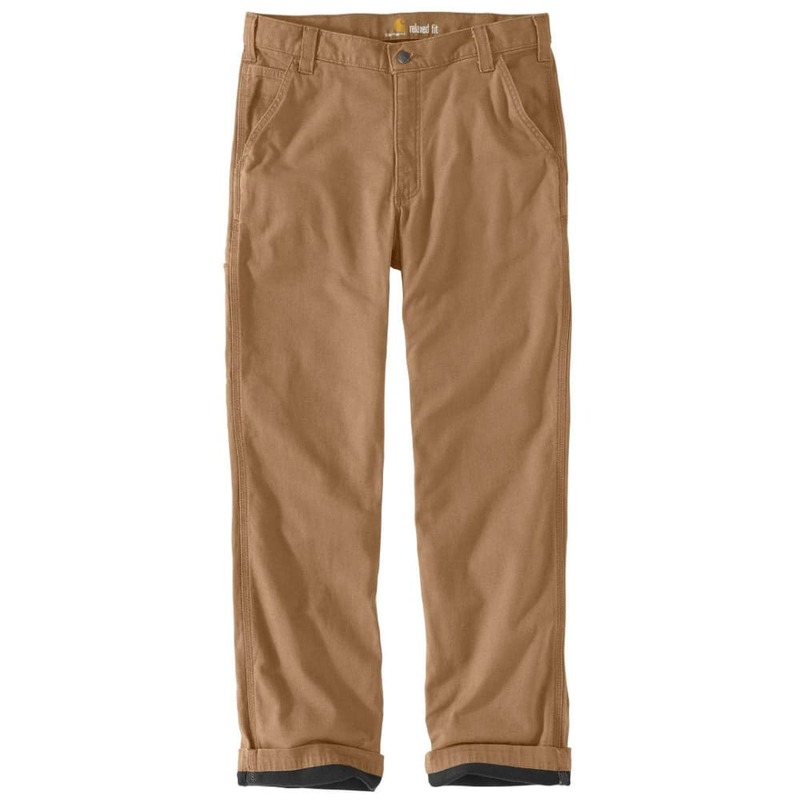 With these pants, Carhartt starts off with its sturdy cotton-blend canvas, gives you a full range of movement with Rugged Flex technology, and traps body heat on those cooler days outdoors with knit flannel lining.